As someone that works in the self-driving vehicles industry I believe that autonomous vehicles will change the world we live in. I believe it is not a question of whether the technology will ever be available, it’s more a question of when the technology will be ready. Predictions vary but it is likely in the next five to ten years we will see fully autonomous vehicles. Media coverage on self-driving vehicles often is focused on passenger cars, particularly due to large scale investments from the likes of Uber, Tesla and Google. 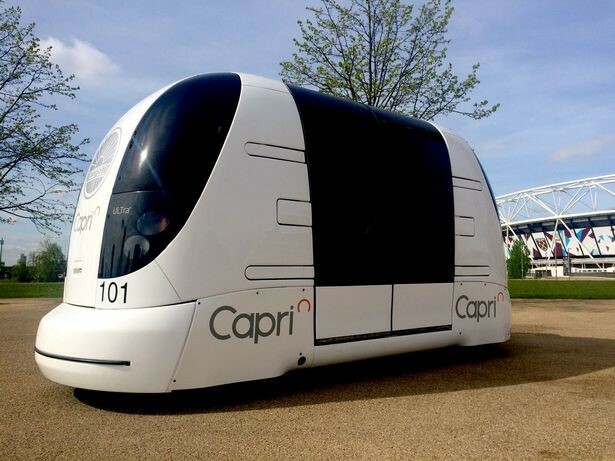 However, it is not just cars that could be automated, it is just as likely, even more likely that a wide range of vehicles will be automated such as buses, delivery trucks, snowploughs and road sweepers. Considering this, there is a strong business case for large campus-based sites such as airports, business parks and hospitals to implement automation. Mobility at these destinations is a big deal and can generate significant revenues: Heathrow alone in 2015 generated £107 million a year in parking revenues. It is not just the revenue, there is the large cost of internal movements of people, goods and services. If you ask a member of the public what an autonomous vehicle can do, they are likely to suggest a vehicle that can drive itself anywhere, at any time in all weather conditions. In the Industry this is known as a “Level 5” vehicle (see diagram below). This need to safely cover all conditions is why large vehicle manufacturers and technology companies are investing hundreds of millions of pounds to develop the first go anywhere, anytime vehicle. However, if you consider a Campus Location, where most roads are semi-controlled with a limited range of scenarios, the challenge becomes simpler and you only need a Level 4 vehicle. The autonomy becomes simpler still if the vehicle is operating in a non-public environment, such as airside at an airport. Therefore, my company Conigital is focusing on these campus locations. The development of Conigital’s solutions is being funded by three projects: Project CAPRI worth £5.7m, Project Synergy worth £4.7m and Project INSIGHT worth £2.2m. Each project includes a range of partners and clients including Manchester Airport, Birmingham Airport; Heathrow Airport and The Mall shopping Centre in Bristol. These projects all involve trials of different aspects of an on-demand last mile pod service. A key part of Conigital’s approach is the development of inclusive and accessible solutions. This approach is so strong that a Charity devoted to helping the Blind and Partially sighted has invested in us because they see the benefits that our technologies can offer to the people they support. Within our projects we are developing a range of inclusive and accessible solutions, including a virtual concierge called Gemma, a patented 4D tactile map for blind and partially sighted users, a Mobility as a Service app, as well as a fleet management system facilitating the coordination of vehicles and allowing a central point of control for customer queries. The Gemma Virtual Concierge provides a tailored customer experience for users. By, talking to the app or device; Gemma will provide interactive access to travel advice, news and games, the internet and premium services at the destination, such as duty-free shopping and infotainment services.